Photo courtesy of “Caregivers” film. 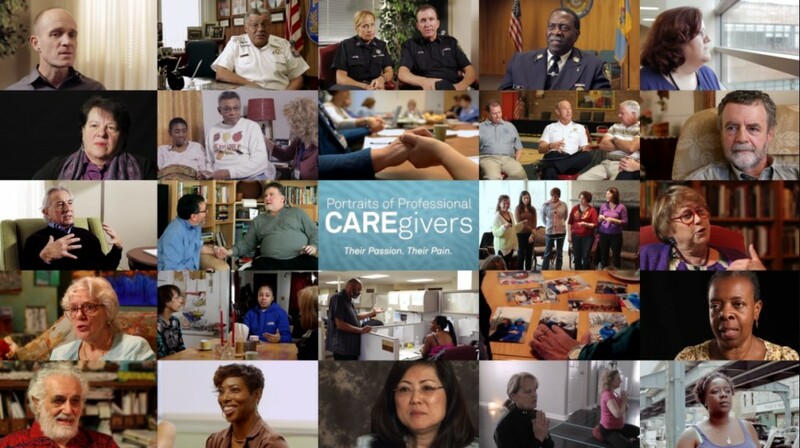 “Caregivers,” a documentary from National Association of Social Workers (NASW) member Vic Compher, LCSW, examines “compassion fatigue” and staff wellness among social workers, nurses, doctors and a number of other helping professions, who work with traumatized and suffering people. This award winning film was featured at the 2016 NASW National Conference Film Festival. Compassion fatigue, aka secondary traumatic stress or vicarious trauma, are emotional and physical responses that can occur among social workers and other helpers who work with highly traumatized clients. Symptoms can include, for example, intrusive thoughts, anxiety, sleep disturbance, flashbacks, appetite changes or depression. Compher and NASW have joined forces to spread the word about this condition and educate social workers about how they can address or avoid compassion fatigue. Compher and NASW invite NASW chapters to screen “Caregivers” and to host a discussion afterward. NASW has prepared a helpful CE packet with objectives, goals, and various handouts to facilitate the CE event, along with a post-test for individuals who wish to receive two CE’s. NASW chapters would be responsible for administering the post-test and the CE certificate. Chapters can obtain the CE materials from NASW Public Relations Manager Greg Wright at gwright.nasw@socialworkers.org. NASW chapters can purchase the DVD for their screening from LIFEDREAM FILMS LLC at a special 20% discount ($200.00) by contacting Vic Compher at viccompher@comcast.net. Check out the film’s website to learn more about this acclaimed film and to watch a trailer at www.caregiversfilm.com. Please also contact Vic with any other questions or for PR materials to promote your screening at the email address above or by calling 267-266-0842. Are you interested in having your state NASW Chapter host a screening? To find your local chapter use this directory.